Wedding receptions are a great place for florists to show off different styles and color palettes. 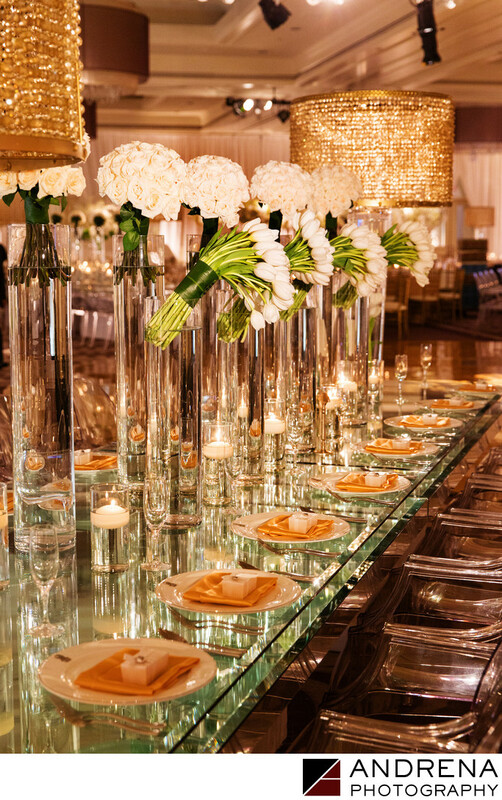 This wedding reception used a palette of white and gold, with glass tables and lucite chairs. Uplighting was also kept to a simple white, giving the room an elegant feel. The design was courtesy Fayaz at Bloom Box Designs, with coordination by Elegant Events by Nutah Shah. This wedding was published in South Asian Bride magazine.